Savor authentic tropical flavors in our restaurants, bars and in-room dining. Our handcrafted menus feature the freshest seafood, spices, and Jamaican goodness. Enjoy all your favorite premium spirits in our bars and restaurants, including island-made Red Stripe beer and local rum. 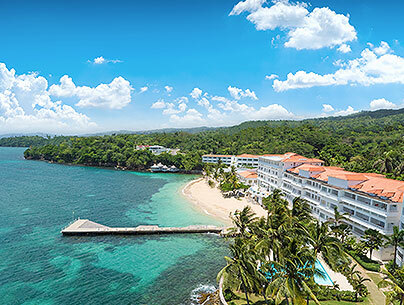 Put away your wallet and tag along with us to explore some of Jamaica’s most beloved attractions, including free excursions to Dunn’s River Falls* and Margaritaville. 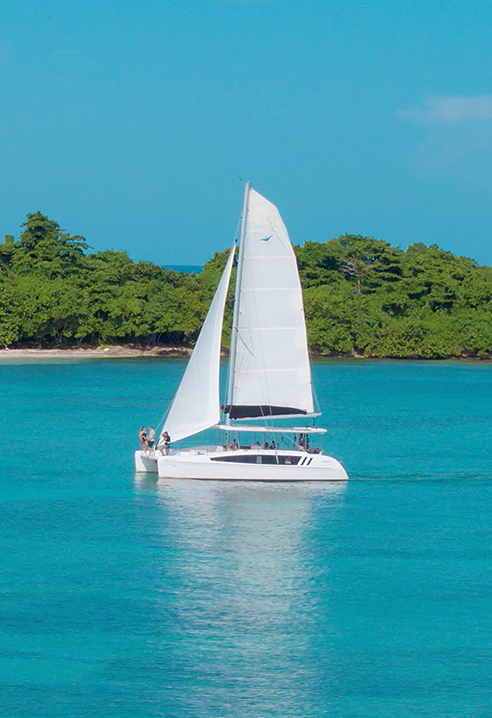 Soak in excitement and Caribbean breeze aboard a romantic catamaran cruise* complete with rum punch and swimming off the hull. We set sail up to four times a week. Catch an island breeze as you set sail on our crystal-clear turquoise waters. Take a sea kayak out for a leisurely open-water paddle along Jamaica’s pristine coastline. 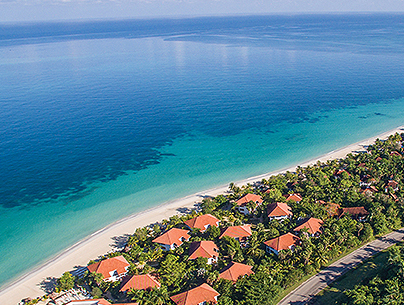 Where better to try this offshoot of surfing than in our calm Caribbean waters? Hop aboard our couple-powered pedalos for a quick work-out for two. Head to the pool for a casual or competitive game of volleyball. Dive into a sea of splendor with our exceptional scuba diving program. Grab some snorkel gear and prepare to be awed by a world of wonder just below the surface. Skim smoothly over the waves on water skis, a monoski or wakeboard from behind one of our high-powered boats. 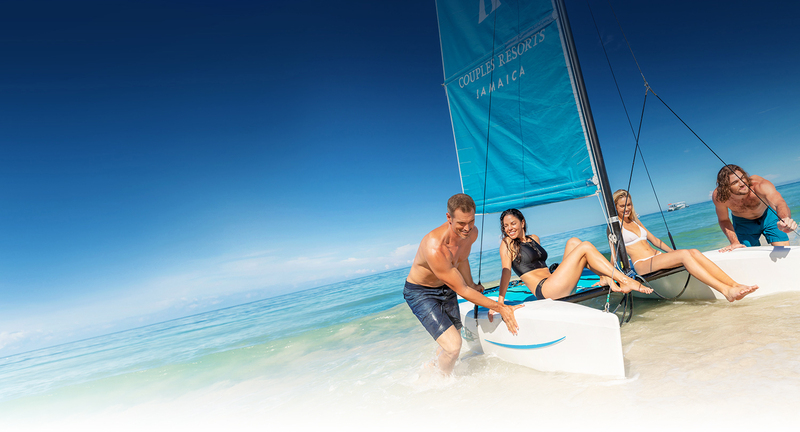 Our steady Caribbean breezes create the perfect conditions for windsurfing. Dive into a world of wonder on one of two daily dives. If you’re just starting out, we offer every certification level, including open water and master scuba diver, and once you’re certified here, we welcome you back to dive for life. At Couples Resorts, we’re at your service, so why not start your day with a delicious continental breakfast in bed? Additional in-room dining hours and menus vary by resort. 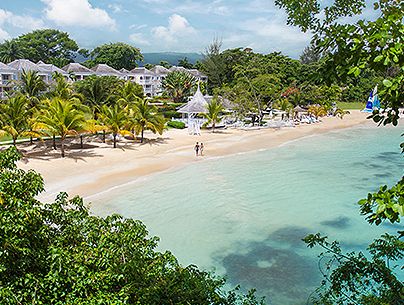 Sharpen your serve with daily complimentary court time, group clinics, and one private lesson with a pro per day, or tee off on two of Jamaica’s premier championship golf courses. Prefer low-key excitement? Try a cooking or salsa dancing class! 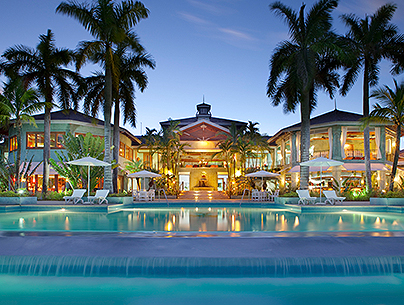 Embrace a Caribbean rhythm at nightly events featuring everything from steel drum bands to reggae dance classes and piano sing-alongs to beach bonfires*. You dreamed, we delivered! Introducing the Caribbean’s first-ever all-inclusive spa experience, featuring private villas with sun terraces and plunge pools, unlimited spa services, and in-villa dining.